Sometimes it is challenging to fit all the images I want in a 8×8 layout. What was I thinking picking a small album for BIG sites?! 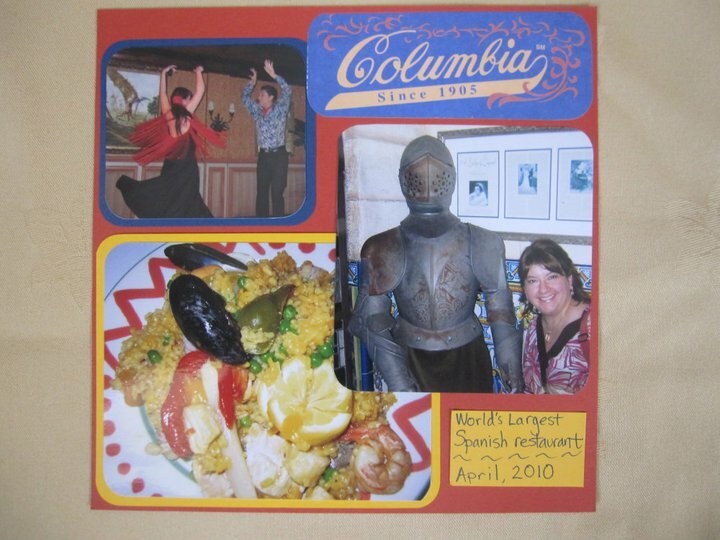 On this page from our visit to the Columbia Restaurant, I barely squeezed in the three photos I really wanted to use. The title scrap is from their take-out menu! 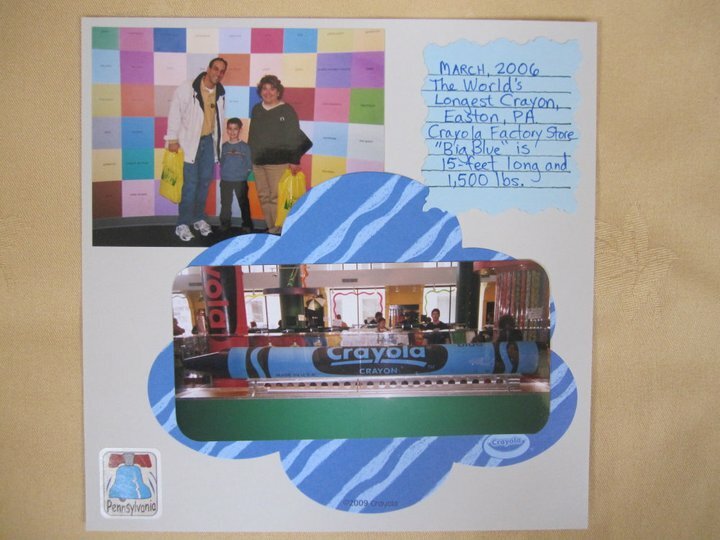 The very first “world’s largest” we saw as a family was the crayon at the Crayola Factory‘s gift shop in Easton, PA. The Girl wasn’t even born yet, and it was long before the birth of my other “baby,” this blog! The blue splotch-shaped paper behind the bottom photo is actually a Crayola product. It came in a pack of different shapes and colors. 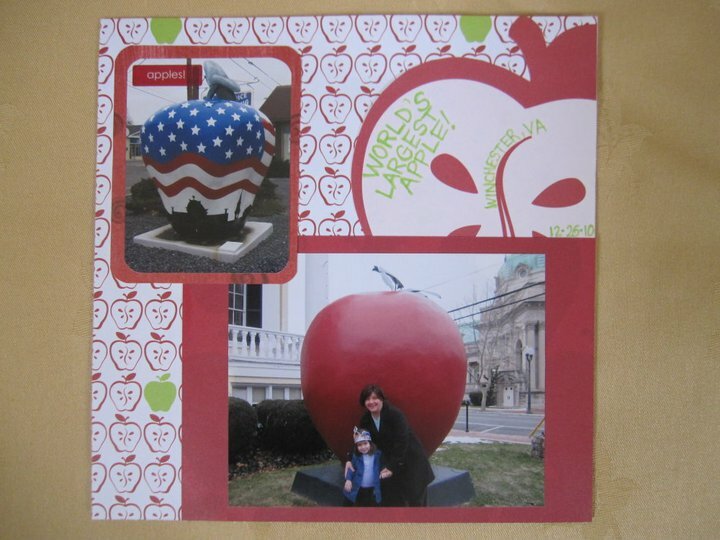 I also used my journaling stamp from Stampin’ Up to write a short background of the crayon. I love over-stated things! This is a great idea. Fun! I’m digital, which makes it so easy on the road. 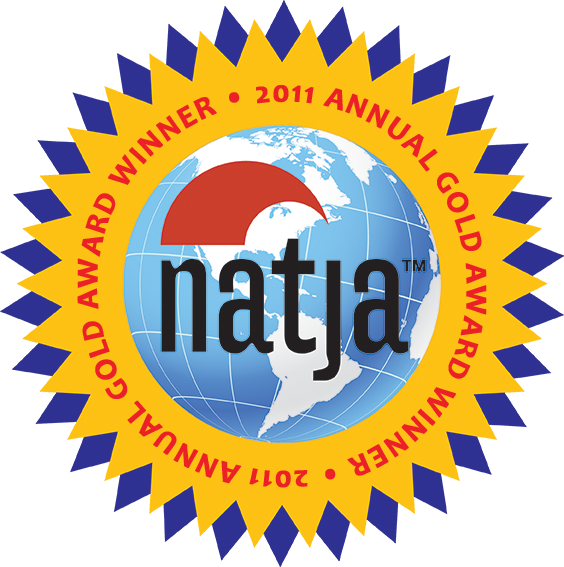 Lots of travel pages (I do state by state) in my gallery at http://margie.digitalscrapbookplace.com. Thanks, Margie! Your pages are amazingly creative! Digital appeals to me because it’s efficient, and limitless in design choices. But I stick with the old school approach because I just really like working with paper; it’s therapeutic for me! Love the red and white color scheme and the whole idea of visiting all those unique places. We’ve been to some fun and unique places, but nothing like those. Thanks for stopping by, Kathy! These quirky places always make for great photo ops, and the good thing is, you really don’t need to travel far to see them. They’re everywhere! We took our Christmas card photo standing in front of the world’s 2nd largest garden gnome, who lives on a farm 30 minutes away! Love this Blog Traci! 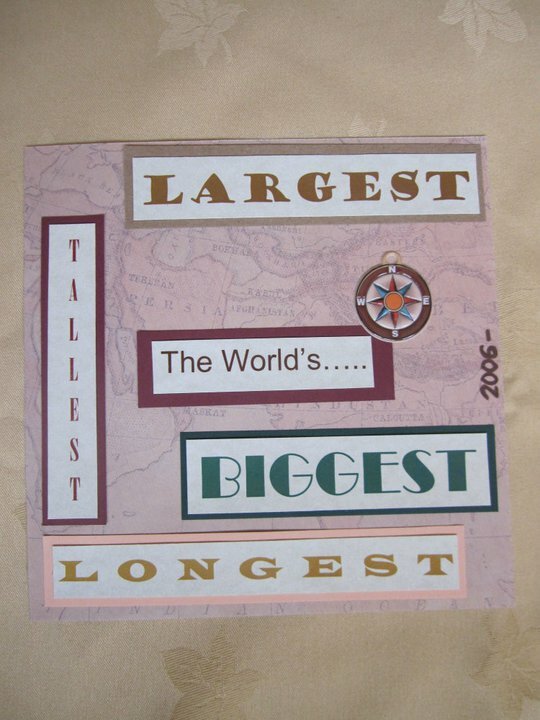 You are just so creative in so many ways and your scrapbooking is amazing!! 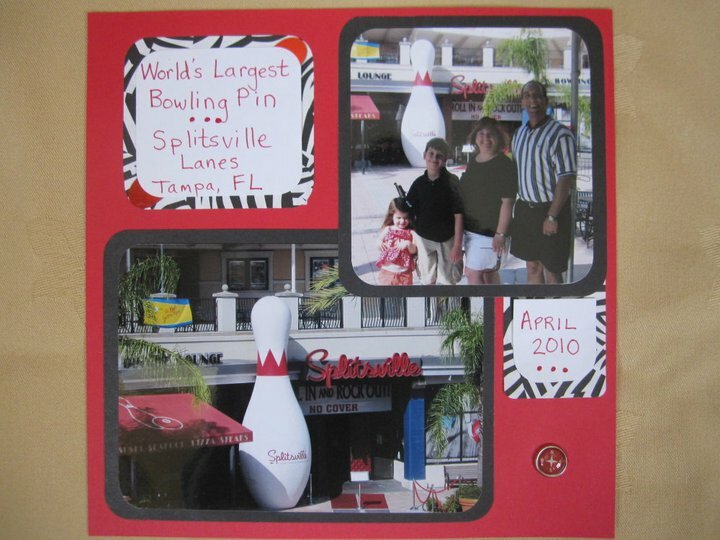 What fun places you and your family have seen! !